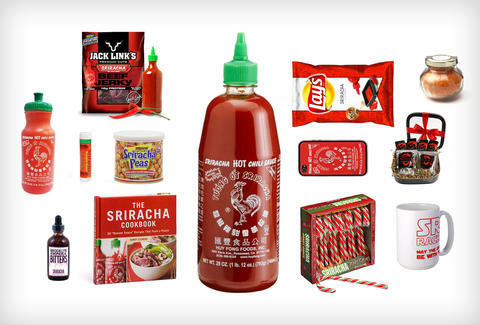 You've memorized these 14 Sriracha facts, sent hate mail to the protesting citizens of Irwindale City, and even toured the factory -- now the only thing left to do to show your love of, um... rooster... is to purchase this sweet 'racha-swag, from hoodies to lollipops. 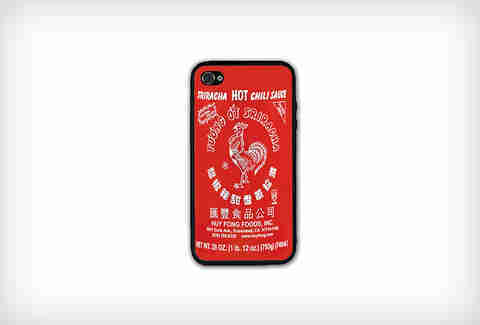 Cover your phone in Sriracha without ruining your warranty. 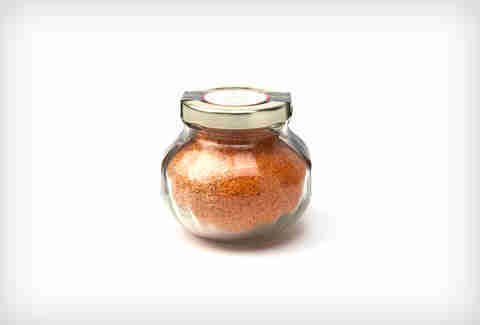 A spice genius named Anna combined sea salt with Sriracha and is selling it for a very cocky price of $9. The Oatmeal is a one-stop Sri-shop, offering everything from boxers to posters. 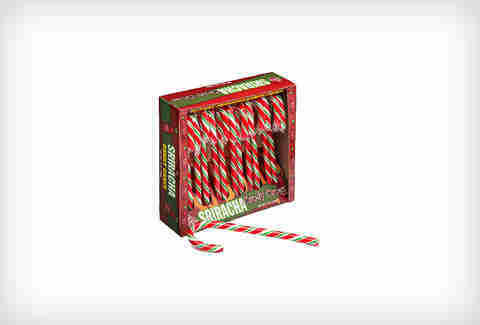 Whether you've been naughty or nice, you can still enjoy the spice. 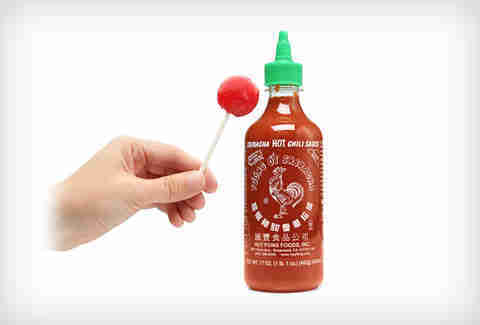 The experimental candy-makers behind these breast milk lollipops have hopped on the Fong-wagon with a Sriracha-flavored lolly. 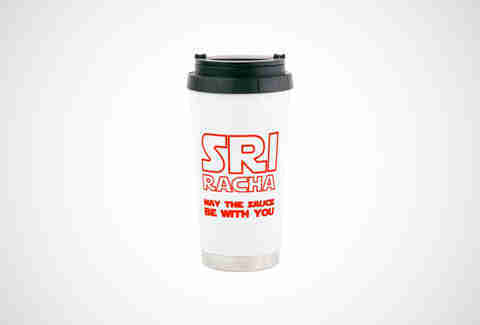 Cafe Press has an extensive selection of kitchen Fong-ware including this Star Wars-themed mug. Green peas are finally palatable. ThinkGeek is peddling this zip-up 'rachoodie that has a rooster on the front and the bottle label on the back, but they've lost points by not making the hood green. 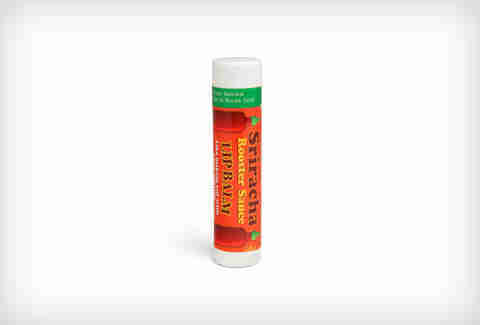 If your lips weren't already tingling, the Man Cave has you covered. 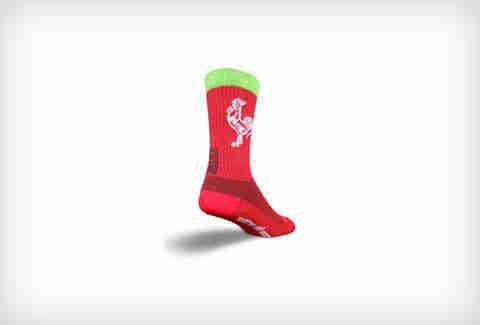 Walk on fire with these Sockguy foot-warmers ($10.95). Although it's not healthy to drink Sriracha like water, for just a few bucks more than a bottle of Huy Fong ($6.95! 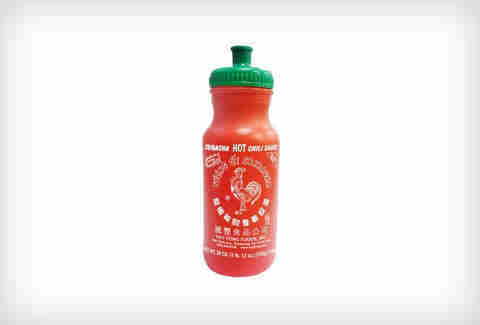 ), you can drink water like Sriracha with this bottle. 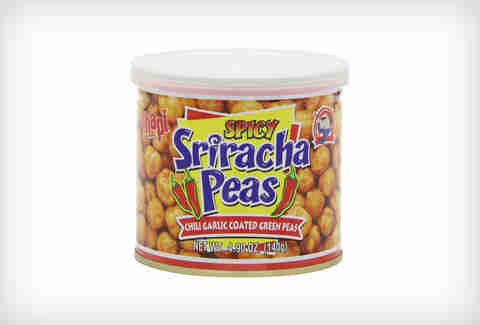 Need to beef up your Sriracha intake? 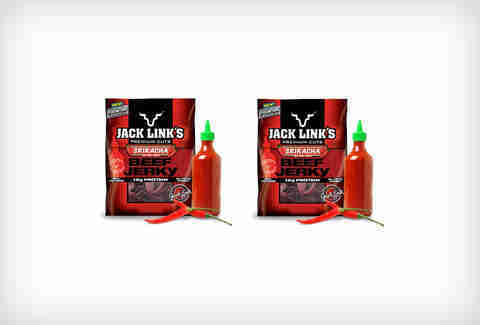 Try this jerky. 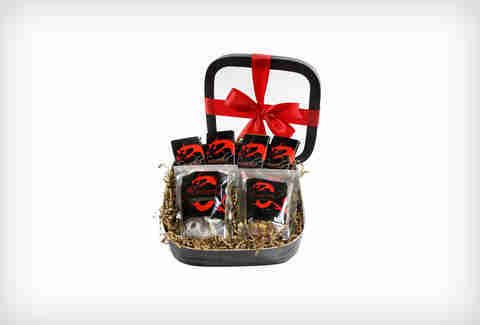 The confectioners at Sugar Plum have packaged a slew of Sri-concoctions into a gift basket that includes Sriracha chocolate, pretzels, and peanuts. 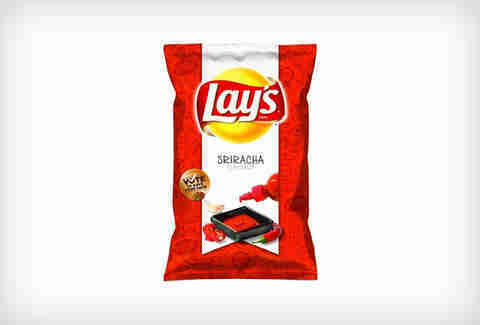 Although it lost a Lay's flavor competition to Cheesy Garlic Bread, the Sriracha chips are still available for a limited time via Amazon for a whopping 25 bones. 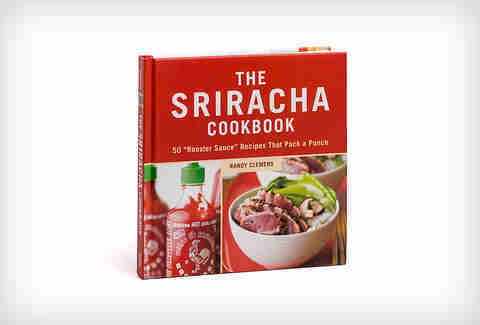 Spice up everything from cornbread to sorbet with the official Sriracha cookbook. 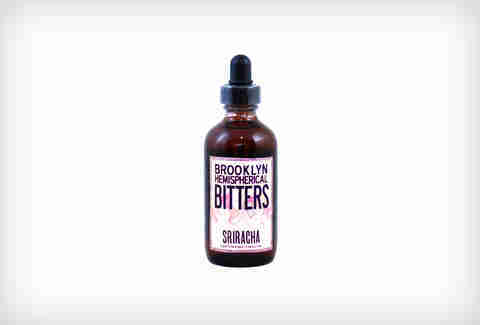 Great in Srirazeracs (no, really), these Brooklyn Bitters ($23) are fueled by habanero, serrano, and Scotch bonnet chile peppers. Dan Gentile is a staff writer on Thrillist's National Food/Drink team who once used an entire bottle of Huy Fong in a senseless act of condiment vandalism. Follow him on his path to forgiveness at @Dannosphere.